What is LGBT History Month? David Sanin, York Graduate Students’ Association‘s LGBT Representative and outgoing Welfare Officer, provided a few thoughts on this year’s campaign and the contribution of the University of York LGBTQ Postgraduate Network. This year’s LGBT History Month provided an opportunity not only for the city of York to celebrate and commemorate the efforts of the LGBT community to overcome inequality and discrimination, but also it became a platform for closer ties to be forged between the different LGBT groups in the city. The LGBTQ Postgraduate Network, supported by the Graduate Students’ Association of the University of York, was part of the city-wide steering group and looks forward to being part of that group in future years. With Queer as a political concept, a seminar on the history of the use of the term ‘queer’ as a political stance and in the LGBT rights debate, the Network engaged with a large group of students and started a healthy discussion, promoting diversity and inclusivity. 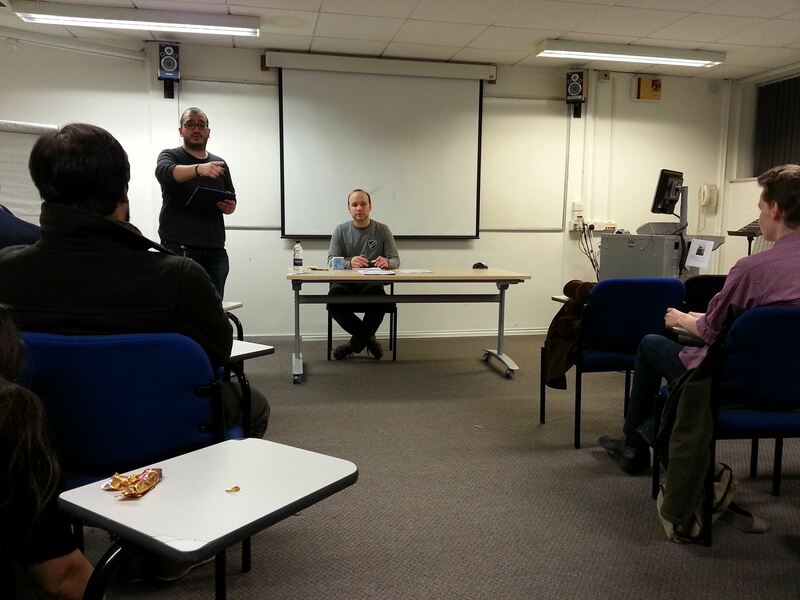 David chairing the Queer as a Political Concept event. 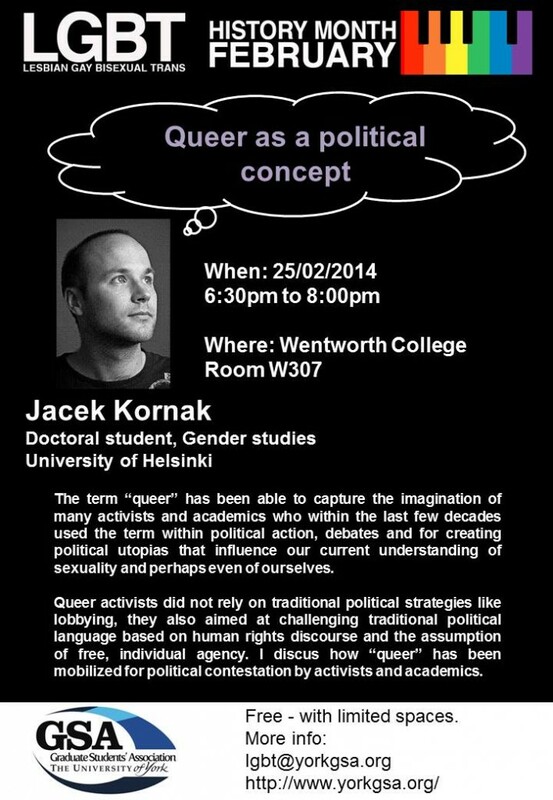 The flyer from the Queer as a political concept event. Ynda is a PhD candidate at Queen Mary University of London researching queer and genderqueer speech. They established York LGBT History Month in 2014 while working at York St John University. They then developed it into an independent organisation, and served as Lead Coordinator from 2014 to 2016, which included overseeing its registration as a charity. They now remain vaguely involved from a distance. 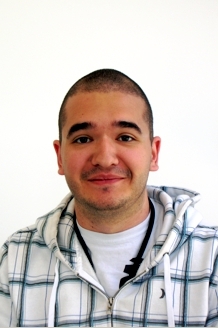 During their seven years in York, Ynda also studied at both of York’s universities and served periods as secretary of York Pride and York LGBT Forum. They also founded Non-binary London and are involved in Bar Woetever and Everyday Cissexism. They write about queer matters on their website. Call for events for 2019! Update on Anne Lister’s plaque: please bear with us! Call for events for 2018! New committee election - venue details - York LGBT History Month on Join the York LGBT History Month team! Update: join the York LGBT History Month team; gender study | LGBT Staff Network on Join the York LGBT History Month team!